Today is a glorious day! Thanks to all of those loving supporters of I Am Above TV. We are able to continue to prosper. 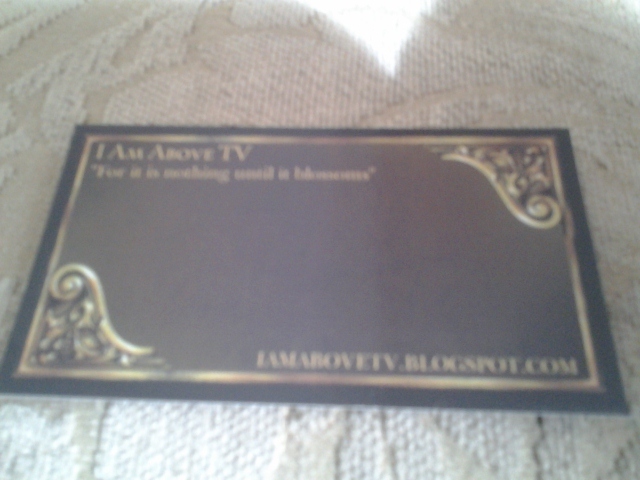 Not only a website under development but, a package of business cards! Just take a look at how awesome these things are. Have a good day !